On March 25, 1894, Jacob Coxey and his 75 member army stepped off from Massillon, Ohio on their march to Washington D.C. By the time they reached Canton, about eight miles away, the number had reached 50. The New York Times reported that Coxey’s life insurance policy had been revoked, with “officials of the company fearing that he may meet with a violent end in his present enterprise,” and that “everyone regarded the affair as a huge joke.” However, recently having found ten Times articles on Coxey’s Army from March 1894 alone, I don’t think anyone could argue the fact that Jacob Coxey certainly knew how to use the media. 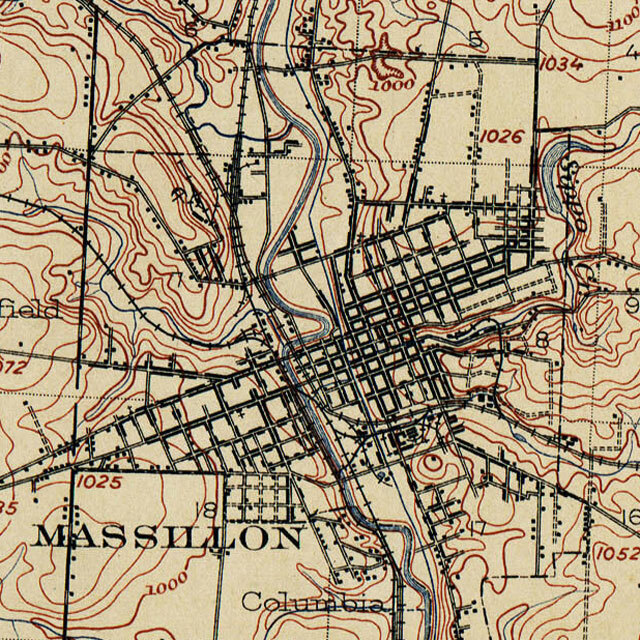 CANTON, Ohio, March 25 – Coxey’s Army of Commonweal moved out of Massillon today on schedule time, there being perhaps seventy-five stragglers in line at the start, and twenty-five less when Canton, eight miles away, was reached. Carl Browne, Chief Marshal, headed the procession, mounted on a white horse, and was followed by a half-dozen aides, all mounted on horses belonging to Coxey. Coxey rode in a carriage drawn by a pair of spirited steeds. The procession consisted of the marshals, Coxey, his wife and sister, a bugler, four covered wagons containing camping outfits, baled straw and several quarters of beef, a brass band that played all kinds of music at once, and the soldiers of the Commonweal, on foot. They marched single file and two abreast, as pleased their fancy. With very few exceptions, they were hard-looking citizens. This they claimed was not their fault, but the fault of our system of government. The weather was pleasant when the start was made, but the procession was overtaken by a severe snowstorm. This had a depressing tendency, and a number of desertions were reported before Reeduburn (sic) the first stop was reached. After a brief stay at Reeduburn, the army resumed its onward march, and reached Canton a little after 4 o’clock, where Camp Lexington was pitched. Coxey apparently is enthusiastic. He says the movement thus far exceeds his most sanguine expectations, but this is hardly in keeping with his former declarations. Canton and Massillon were both crowded today with persons who had come in from surrounding towns and cities to see the sight. On the march from Massillon to Canton the army was followed by a mob of nearly 1,000 persons, in carriages, on horseback, and afoot. They indulged freely in cheers and kept Coxey constantly bowing and lifting his hat. On reaching Canton the army was greeted by fully 10,000 persons, who were crowded on the sidewalks and in windows and balconies along the street. Every one regarded the affair as a huge joke, and good humor prevailed on all sides. See additional coverage from The Canton Repository, Sunday, March 25, 1894. Read “Coxey’s March to Washington” from The Chicago Tribune, Sunday, March 25, 1894.